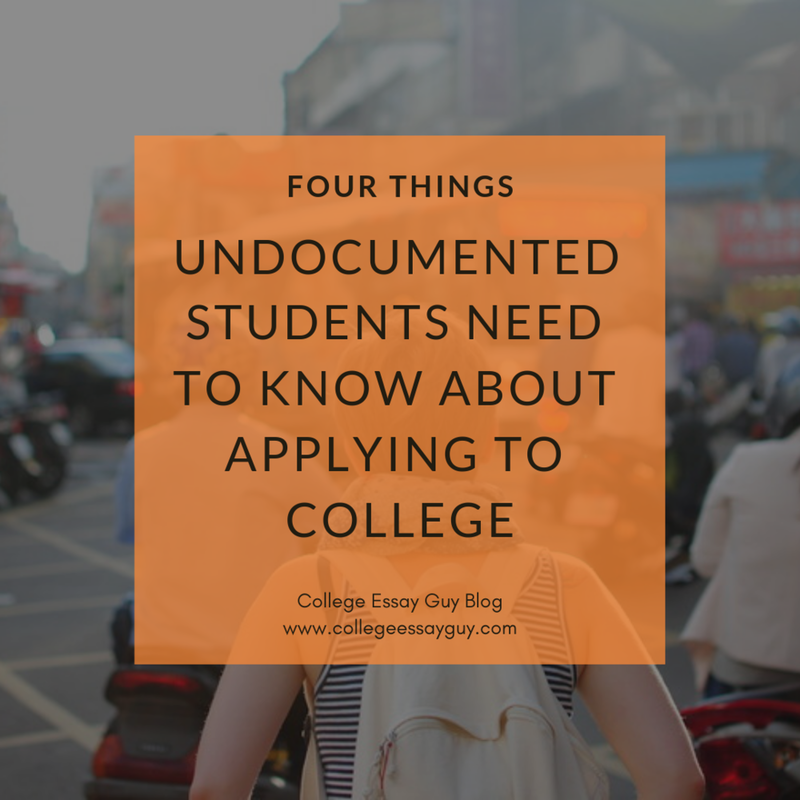 Four important questions answered and oodles of resources to help undocumented students prepare and apply for college. 1. Can I still still go to college if I am undocumented? Yes. There is no federal policy restricting undocumented students from being accepted at a university. 2. Am I eligible for financial aid? It depends on what state you live in. Undocumented students are ineligible for federal aid, but many schools offer in-state tuition and state and university scholarships to undocumented students. You can find a map of these states here, or on this page. 3. Will applying to colleges give the federal government information that will get me deported? No. Schools administration do not legally have to give information to the federal government about its students under FERPA (see "Laws and Regulations" below for more information). And any information given to these schools cannot be held against you in court. When it comes to applying for scholarships, the policies different from source to source, so make sure to read their agreements carefully. 4. Should I give up hope on going to college? No way! You are not alone in this journey. There are many people in your community who are in your same position or are devoting their time and energy to making sure you get to college. Now is the best possible time to apply. The title says it all. This is the best and more practical place to start. A list of organizations and resources for how to get support through applying and attending college. Just write us an email at [email protected] telling us that you are interested in a pay-what-you-can option and you can get free access. Each school has their own policies. While your options may be more limited, there are many schools out there that strongly support you in your journey. Admission policies, financial aid, and scholarship opportunities at colleges and universities throughout the nation and abroad. How Undocumented Immigrants Might Qualify for College Financial Aid in N.J. The New Jersey legislature is writing a bill that will allow undocumented students who graduated from a New Jersey high school to receive state financial aid. When in doubt, ask a professional. See section 1 here for a brief introduction to the important policies related to eligibility for applying to college. Policies differ by state so you’ll have to do your research. You have a right to privacy regarding your educational information. An Illinois act that allows in-state tuition for undocumented students. A number given to people without social security numbers so that they can still pay taxes, gaining tax credits, getting a driver’s license, and other things. Everything you need to know about how you can support undocumented students. Another great read: The University of California Application – What's New? WANT HELP WRITING YOUR PERSONAL STATEMENT? CHECK OUT THE FREE ONE-HOUR GUIDE BELOW.